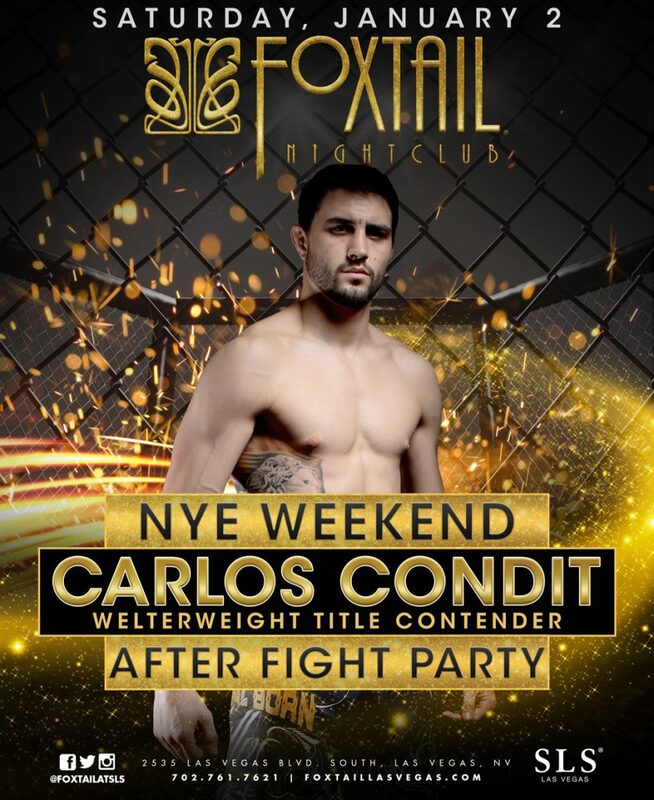 Contact City VIP Concierge 702.741.2489 for Table & Bottle Service and all things New Years Las Vegas. Carlos Joseph Condit (born April 26, 1984) is an American mixed martial artist, competing in the welterweight division of the Ultimate Fighting Championship. Condit is the former interim UFC Welterweight Champion and a former WEC Welterweight Champion. As of May 31, 2015, he is #4 in official UFC welterweight rankings. 28 of Condit’s 30 wins have come by way of knockout or submission. He has never been knocked out or stopped due to strikes; Condit’s only TKO loss was by injury. Condit formerly fought in the UFC’s sister promotion, World Extreme Cagefighting (WEC), where he was the final WEC welterweight champion. He also competed for both Shootboxing and Pancrase in Japan.